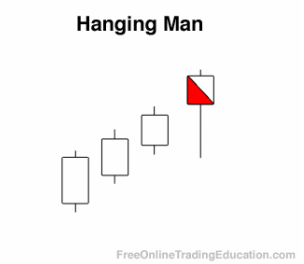 A Hanging Man is a bearish candlestick pattern that develops after an up leg and has the exact appearance of a hammer. This candlestick opens bullish but sells off dramatically. After the sell off, the price rallies and closes near the high of the bar and well off the lows. This candlestick has an open and close near each other with a long lower shadow. The real body's color is of no importance, but in the classic version of this candlestick, the lower shadow must be two times or more the length of the real body with little to no upper shadow. Conversely, if this candlestick is formed after a down leg, it is considered a Hammer candlestick. 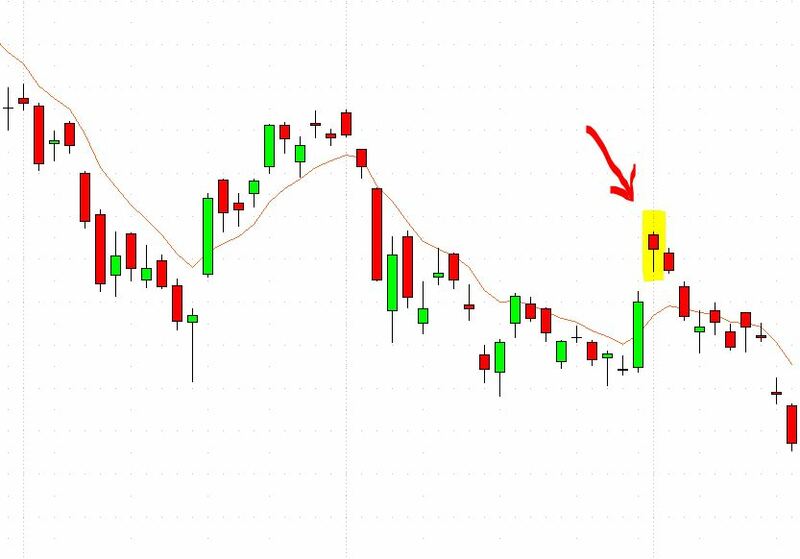 Technical analysts often use Hanging Man candlestick patterns as the beginning of sell signals especially when in context of another tradable sell pattern.